If Bahrain were to be summarised in colour, it would be blue and green. Nestled on the Persian Gulf, this heavenly destination offers green landscapes rich in diversity and a turquoise blue sea that borders the island. It is a permanent invitation to change the scenery, and go on an adventure or relax. The skyscraper capital Manama is a modern, cosmopolitan and surprising city. It will be sure to impress with its restaurants, bars, nightclubs, the traditional souks, shops and historical monuments. If you want to get away from the city, the beaches of Dal Ar, gardens and amusement parks of the kingdom are fun excursions. Jet-skis, surfing, hiking, diving, dolphin shows and festivities add to your stay. You should expect scorching temperatures during your stay, except in the months between November and April. Last Updated: December 03, 2018 12:31 ESTThe Health tab was updated - travel health information (Public Health Agency of Canada). If you are ill or have been involved in an accident, you should try to avoid public hospitals in Bahrain. Patients can often be subjected to discrimination, harassment and abuse. However, medical care is of high quality in private health institutions, particularly at the International Hospital. The Bahrain Specialist Hospital and the American Mission Hospital can also accommodate foreign patients and provide adequate hospital and emergency services. Pharmacies are easy to find in Bahrain. The majority of drugs are available and conform to international standards. 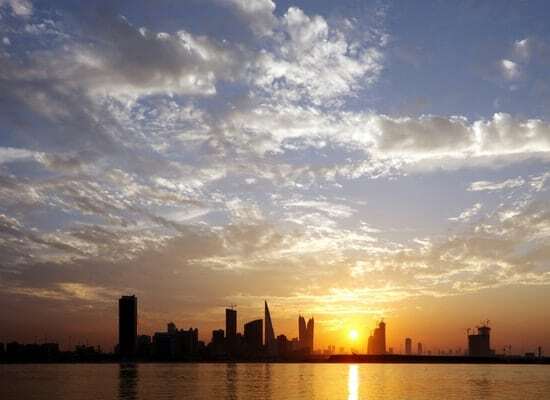 It is worth noting that many medicines are only issued with a prescription in Bahrain and that it is difficult to access antidepressants, tranquillizers and sleeping pills. Is Bahrain Safe for Travel? Both, a visa and a passport are required to enter Bahrain. Your passport must have at least six months of validity beyond the expected date of departure. A visa is obtainable from a Bahranian embassy or online (e-visa) and should be acquired before arrival. This is the embassy’s website in Saudi Arabia.